Gone are the days when juju men were mostly found in far away villages and deep in the forest. Now they live in the posh mansions and drive the latest SUVs whiles vacationing in First class hotels around the world. Now there is a place for them in national discourse just as there is a place for Christian and Muslim leaders. Some of the companies you come across in the cities belongs to these powerful and popular juju men and women. Ghpage.com presents you with the top 8 richest and most powerful juju men in Ghana now. Living outside Accra, this guy owns houses, about 3 posh cars, motor bikes, stock of cow/cattle. He’s currently building a radio station, spiritual/herbal clinic and even has a song composed about his greatness. One of the most popular fetish priests, he owns as usual mansions, have various branches of his spiritual/herbal centers and clinics across the nation where herbal medicines are made and sold by him, owns various SUV’s and lots of properties. [next] This man is a spiritualist/herbalist. He is from Nzema and confidently claims to use original Nzema powers has made lots of cash from his spiritual doctrines. Owns several branches of spiritual/herbal centers across the nation, luxurious cars and mansions. He also owns a company which manufactures his own herbal medicine. He is very rich and proven powerful juju man. 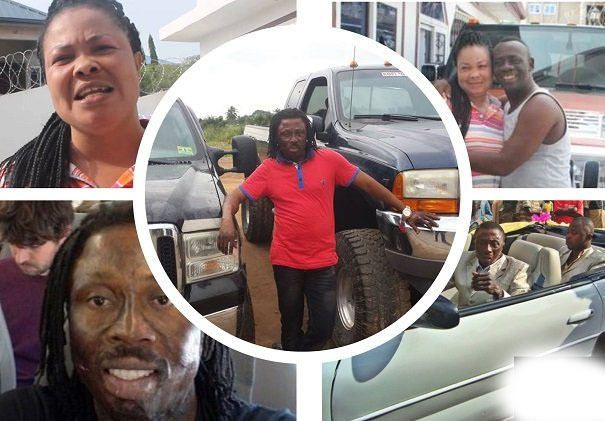 One of the popular Mallams from the Ashanti region, he owns about 5 spiritual/herbal centers where real herbal medicines are manufactured, he also owns mansions, travels to countries abroad frequently and drives various luxurious cars. [next] To meet Mallam Zack one-on-one, you will need millions of cedis and connections. And be ready to spend more to achieve your aim. He is very popular by all standards and rich too.